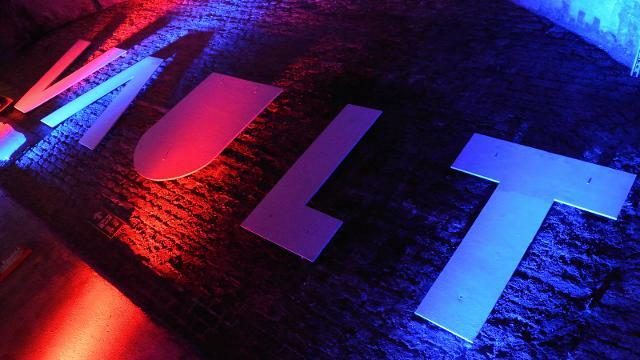 What’s on at the Vault 2017? The only escape game in this list but with Dean Rodgers (Heist Live, Time Run, Crystal Maze) at the helm, you’ve got to feel that it’s going to be an experience worth having. In their own words: For VAULT Festival we present “Houdini’s Last Trick”: pitting audiences the task of escaping from a challenge designed by the Great Houdini himself. They must escape handcuffs, chains and straightjackets by solving a variety of magic and illusion themed puzzles; from finding a secret message hidden in playing cards to cracking the combination to a locked trunk. A Choose Your Own Adventure inspired theatre performance that sounds like a variant of Knightmare Live. In their own words: Decide-A-Quest embraces the current trend of merging of games and theatre where the strength of a live audience can make a unique experience unavailable anywhere else! It’s ideal for Vaults audiences looking for an hour of laughs. Riding high from glowing reviews at Camden Fringe 2015 and Edinburgh 2016, Decide-A-Quest is a perfect fit for the Vaults 2017 showcasing what can be achieved on a low budget by two actors; high energy performances, an abundance of imagination and a lot of silliness! In their own words: Come along and participate in a huge, live extravaganza as player or spectator – as the audience, some of YOU will be playing on stage, fighting for your lives! But don’t think just because you’re in the audience there’s nothing for you – you’ll be able to play along and try to outwit those wily wolves. Improvised, table-top gaming from the makers of Knightmare Live. In their own words: Following a critically acclaimed Edinburgh debut; The MMORPG show (Spirit of the Festival winners VAULT 2016) returns with more adventures than ever. Combining improvised comedy with table top gaming in an epic, sprawling, open world, entirely made up fantasy quest. >taur_ – 1-5 Mar. £12. 18:00 (also Sat matinee 14:30). A government party turns into a labyrinth of puzzles. In their own words: Working as a team you must make your way through a series of puzzles, codes and clues, fighting against the clock to discover the truth behind this latest clandestine operation. Do you have what it takes to make it back out of the maze alive? Or will you just become another victim of >taur_? MMORPG show is quite a lot of fun (saw twice last year). It’s a straight up comedy show in that it’s played entirely for laughs. I’m also more intrigued by Tom Bell’s involvement in Houdini’s Last Trick – it suggests it might also be funny! Yep – I’m looking forward to it. Interesting people behind the development of it so I’m expecting good things.